After hearing that there were grannom hatching, I ventured out today for my first visit to fish the Club’s water since my return. The weather wasn’t perfect, strong & cold downstream wind, plus sleet showers! Even so there was a small hatch of grannom and a few small trout rose to them. But the hatch was over so quickly I failed to make the most of it and when another sleet shower came over, it was time to head home! 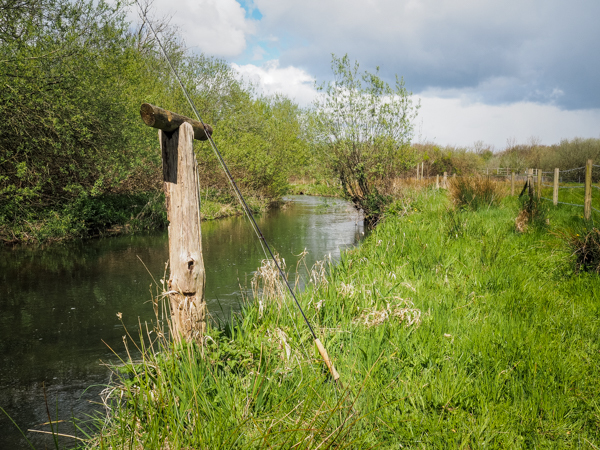 There are signs that the Frome is warming up and spring is starting to appear, hopefully it won’t be long before some decent trout show themselves! !